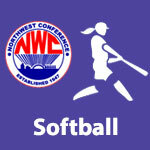 May 2017 – NWC-Sports.com | The Official Site of the Northwest Conference for nwc news, nwc scores and more. Crestview 10 Antwerp 0, 5 inn. 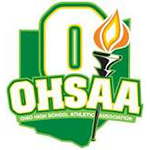 State Qualifiers: Three singles and Three doubles team winners will advance to the State Tennis Tournament at The Lindner Family Tennis Center – Mason, Ohio on May 26th and May 27th. In voting by Northwest Conference baseball coaches for the 2017 baseball season. senior Jake Meyer, a pitcher/infielder from Spencerville was named Player of the Year. Meyer was a near-unanimous selection receiving 199 out of a possible 200 points in the balloting. Crestview senior Spencer Rolsten finished second in the balloting with Delphos Jefferson senior Jace Stockwell finishing third. Crestview coach Jim Wharton tallied 23 points to be named Coach of the Year at the all-conference selection meeting Monday evening in Delphos. Wharton led Crestview to an 8-0 in winning the school’s 22nd conference baseball championship. Jefferson coach Doug Geary finished second in the coach of the year balloting. Meyer compiled a 2-1 conference record with an era of 0.788 in conference play. 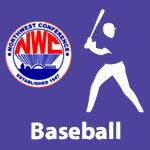 On the offensive side, Meyer hit .558 and stole 15 bases in NWC games. In voting by Northwest Conference softball coaches for the 2017 softball season, senior Ariana Schmiedebusch, a pitcher from Allen East was named Player of the Year. Also receiving first-place votes for player of the year was junior Kara May of Spencerville. Teyah Sautter of Columbus Grove finished third in the balloting. Schmiedebusch finished the season with a record of 16 wins vs only 3 losses for the Mustangs. In 121 innings of pitching she struck out 173 batters and compiled an ERA of 2.26 for the season. Allen East coach Bill Mattevi tallied 22 points to be named Coach of the Year at the all-conference selection meeting Monday evening in Delphos. Mattevi led the Knights to an 8-0 league record and the school’s second league championship in softball. Travis Gallmeier of runner-up Columbus Grove finished second in the balloting. Parkway 15 Ada 0, 5 inn. Delphos St. John’s 7 Delphos Jefferson 6, 8 inn. Crestview 15 Allen East 1, 5 inn. Spencerville 10 Ada 0, 5 inn. District Qualifiers: Four singles and four doubles team winners from each Sectional Tournament to the District Tournament at Bowling Green State University.